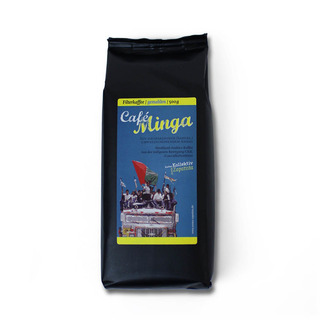 Café Minga is an aromatic 100% Arabica Coffee sold by the Aroma Zapatista Collective from Hamburg. The coffee is grown by the indigenous movement CRIC (Regional Council of the indigenous people from the province Cauca/Columbia). The indígenas from Cauca are organized in the regional council CRIC since 1971, they were prsecuted and crininalized, but they fought untireable against labour services and for own land. 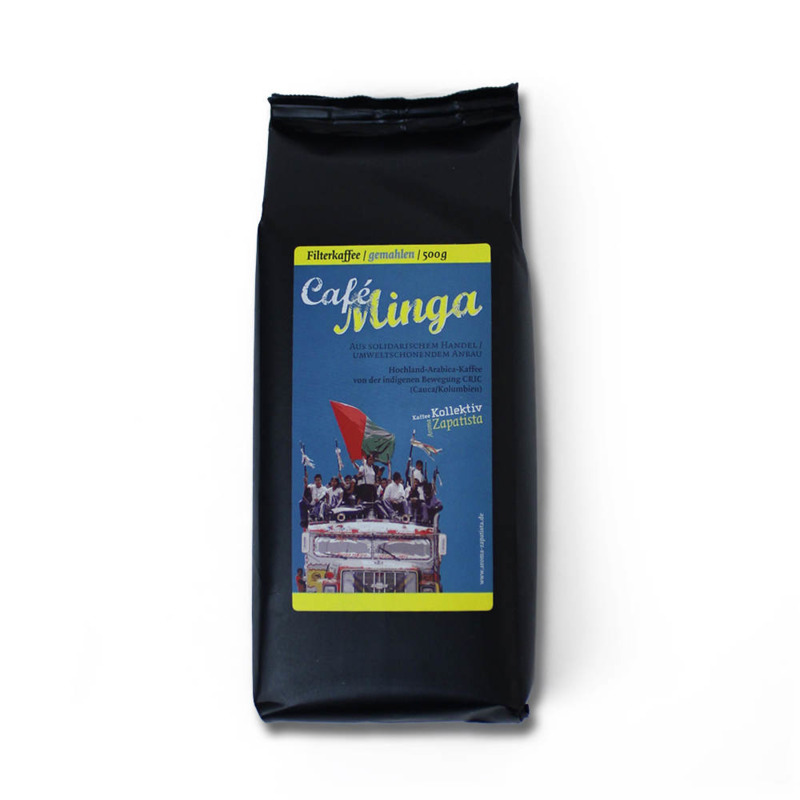 The name: Minga is a traditional concept of working collectively for the village. Further, it also means the mobilization for protests and demonstrations initiiated by CRIC. The Aroma Zapatista coffees are grown by cooperatives from indigenous communities and they are imported under fair conditions and in respectful cooperation (guaranteed purchase price higher than Fair Trade level) by the Aroma Zapatista Collective. In buying this coffee you show solidarity with the indigenous movement in Columbia fighting for dignity and justice and you support alternative economies.